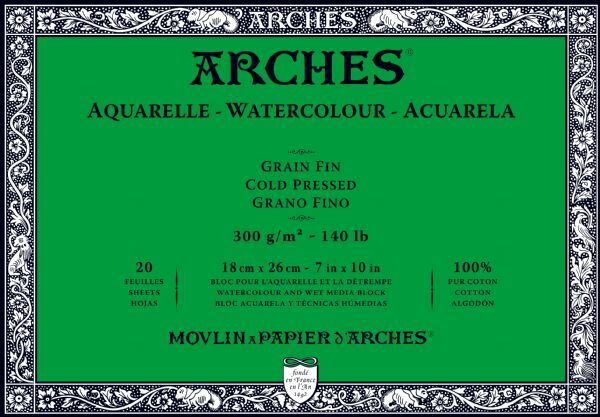 Professional grade 7" x 10" watercolor block of the highest quality. * Cold Press natural white. 10.25" x 7.13" x 0.5"